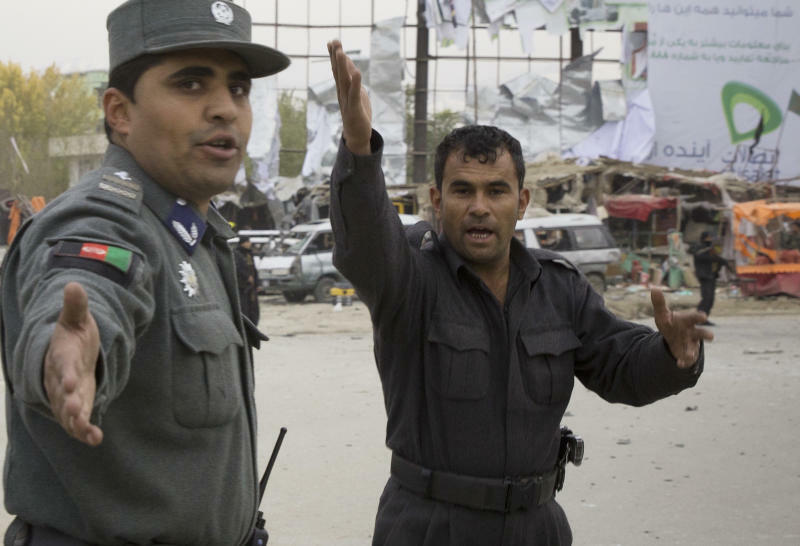 KABUL, Afghanistan (AP) — The death toll from a suicide vehicle bomb attack on the site of a key national council in Afghanistan's capital has risen to 12, officials said Sunday. The Taliban meanwhile took credit for the blast the day before outside the huge tent where next week's Loya Jirga is to be held later this week. Elsewhere, in the insurgency-racked south, villagers discovered the beheaded bodies of six government contractors and a service member from the international coalition died when his vehicle hit a roadside bomb, officials and NATO said. Saturday's suicide bomber detonated his explosive-laden vehicle after being spotted by Afghan security personnel guarding the Loya Jirga site, said Interior Ministry spokesman Sediq Sediqqi. He said three of the 12 dead were members of Afghanistan's National Security Force with most of the rest civilians. The blast came days before the Loya Jirga's scheduled Thursday opening, in which thousands of prominent Afghans are scheduled to meet to debate a contentious security agreement with the United States. Hours before, President Hamid Karzai announced that U.S. and Afghan negotiators had completed a final draft of the Bilateral Security Agreement to be presented to the gathering for debate. If approved, it would allow U.S. troops to stay in Afghanistan after the final withdrawal of international combat forces in 2014. 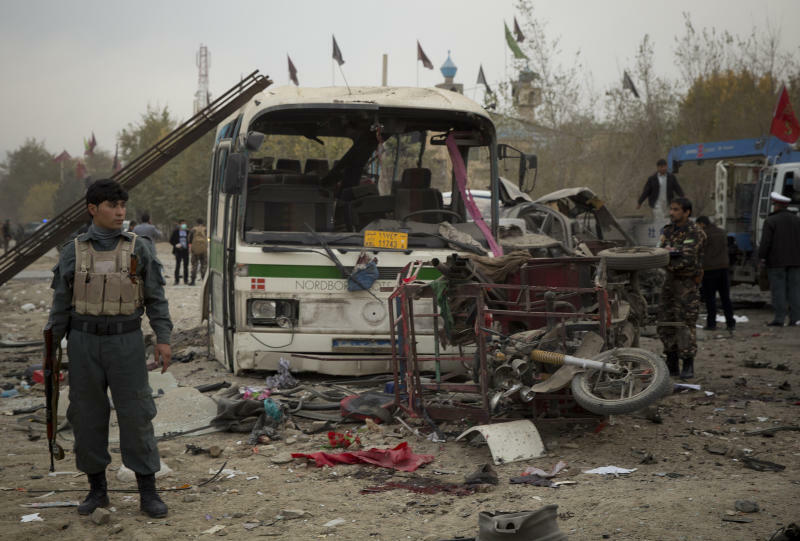 The Taliban took responsibility for the bombing, giving the bomber's name as Saeed Kabuli. They provided few other details. Also in southern Afghanistan, where a stubborn insurgency flourishes, police said they recovered the decapitated bodies of six government contractors, the apparent victims of Taliban insurgents who regularly target state projects. Kandahar police spokesman Ahmed Durrani said villagers found the bodies on Sunday. He said the men were involved in building police compounds and checkpoints in Kandahar, the birthplace of the Taliban.